The Democratic Alliance wants a commission of inquiry to probe funding of The New Age newspaper, party leader Helen Zille said on Wednesday. “I have today written to President Jacob Zuma to request that he appoint a judicial commission of inquiry, headed by a retired judge, to investigate the funding of The New Age,” Zille told reporters at Parliament. She said the newspaper was almost entirely funded with taxpayers’ money, and claimed 77% of its advertising revenue came from national and provincial government departments, and state entities. She drew parallels with the apartheid-era scandal involving The Citizen, in which state money was used to set up and fund the newspaper. Zille and New Age executives have been engaged in a public spat, after she refused to speak at one of their business breakfasts because it was being funded with public money. She hit back when she was accused of hypocrisy after it emerged she had accepted money from an executive linked to the Gupta family. The New Age is owned by a Gupta concern and the family is believed to have close ties to Zuma. A letter from Zille to Atul Gupta thanking him for his donations was made public this week. Zille did not deny sending the letter, but said it was mistakenly sent before she realised that a R200 000 cheque given to her in 2009 did not come from Sahara Computers, of which Gupta is MD. She said it was a personal cheque from Stefan Nel, a Sahara executive director. 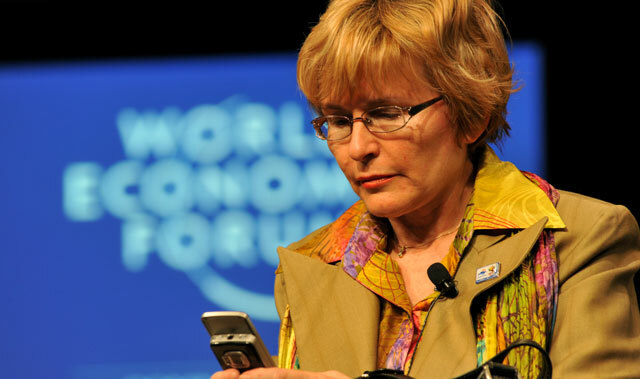 Until now, Zille has not named the donor, citing a promise to maintain confidentiality. Zille said Nel later wrote another cheque for R100 000 to the DA. The party also received an electronic transfer of R100 000 from Islandsite Investments, which is also linked to the Gupta family. Zille insisted there was nothing wrong with the donations, as there was no scandal involving the Guptas when the money was accepted (in 2009 and early 2010). She later instructed the DA’s fundraising department “to have nothing to do with the Gupta family or any of their companies”.